52 lessons completed on 1,320 PowerPoint charts! Maps, charts, and photographs are of the very best quality! 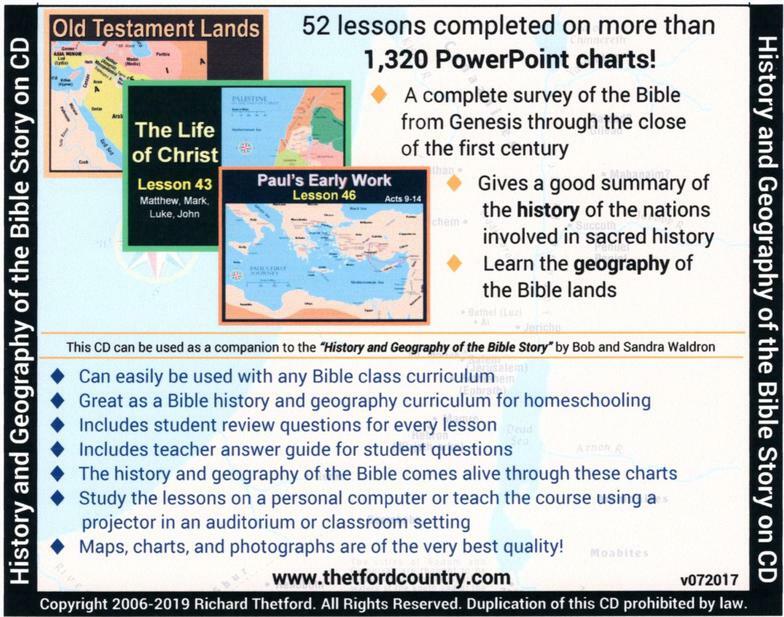 Although this CD goes hand in hand with the 52 lessons in the "History and Geography of the Bible Story" study guide by Bob and Sandra Waldron, it can also be used as a stand alone product. The CD has been revised and now includes study questions for each of the 52 lessons. This CD can be used with any Bible class curriculum and as supplementary material for just about any class. You will appreciate the summary of the material and especially the maps that are included within the lessons. 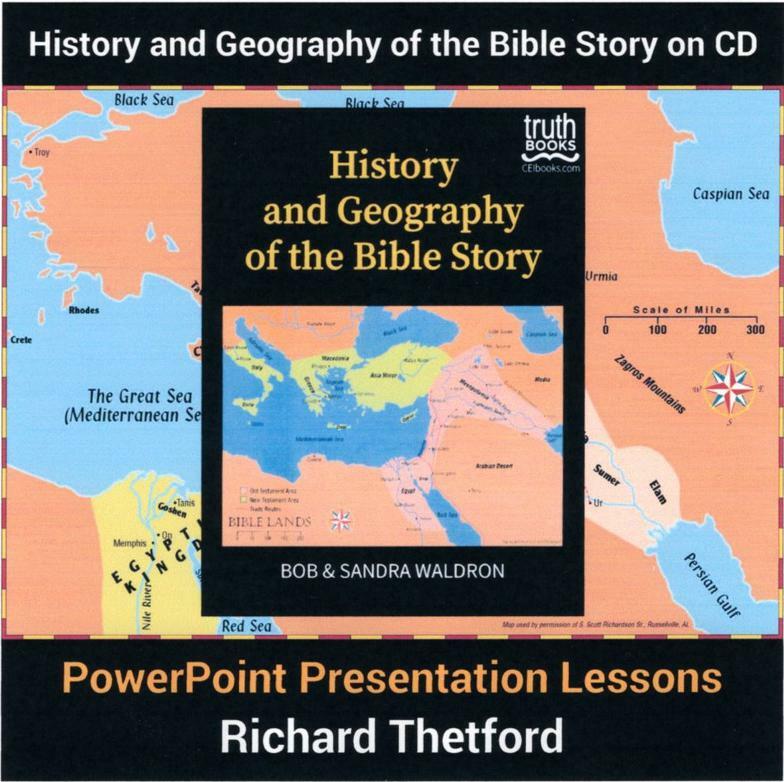 Click here to view lesson 13 from the "History and Geography of the Bible Story on CD"
"History and Geography of the Bible Story on CD"
Click here to read what others are saying about the "History and Geography of the Bible Story on CD"
Click here to read the 2008-2009 "History and Geography of the Bible Story on CD" review that was given by the Rainbow Resource Center, a major distributor of homeschool curriculum and resources. Order from this web site NOW for only $25.00 with FREE shipping! will be able to provide you in your Bible study.